Made from a fine fabric of Corduroy and deftly altered to prove its definitive worth to its original counterpart as being worn by Jack Nicholson in the 1980s movie adaption of Stephen King’s 1977 horror novel The Shining encourages you to obtain Red Corduroy Jack Torrance Jacket. 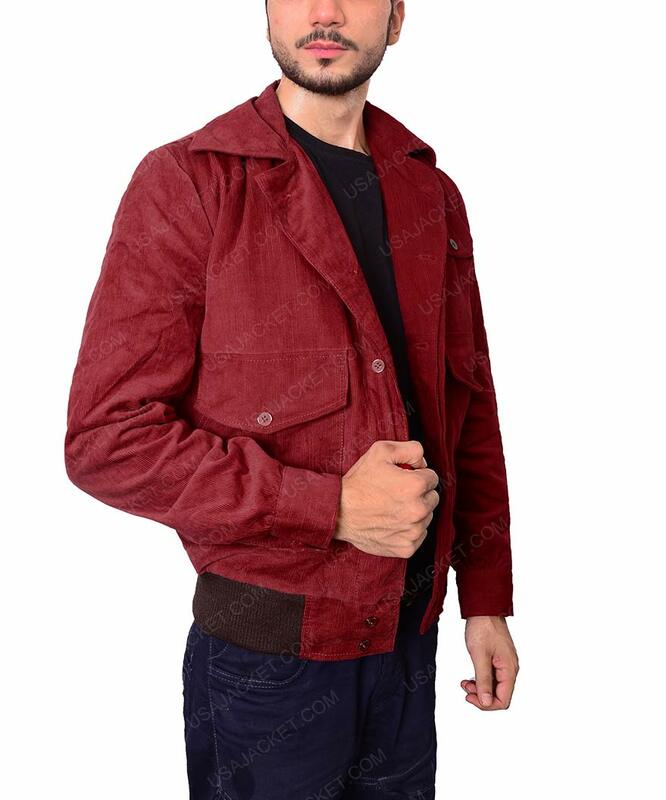 This softly red shaded Jack Torrance the Shining Jacket is a comfy classic wear that offers a full-blooded identity to your personality. 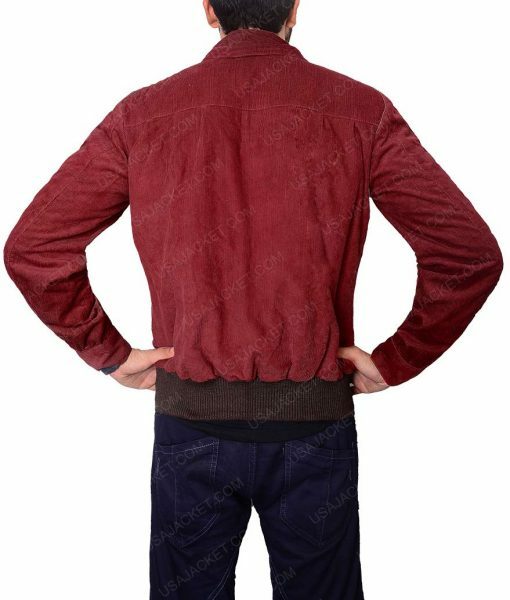 Deep-seated stitching ensures the jackets durability and the likeness permeated into it is absolutely remarkable. This calmly suitable attires encompasses in a shirt collar, overturned button cuffs, Button closure frontage and a few flap pockets up front for keeping your basics at hands reach. Best purchase ever I have ever made online. My brother and sister always shop from the online stores and they get the perfect piece. That’s why I tried to buy something precious for my wardrobe. 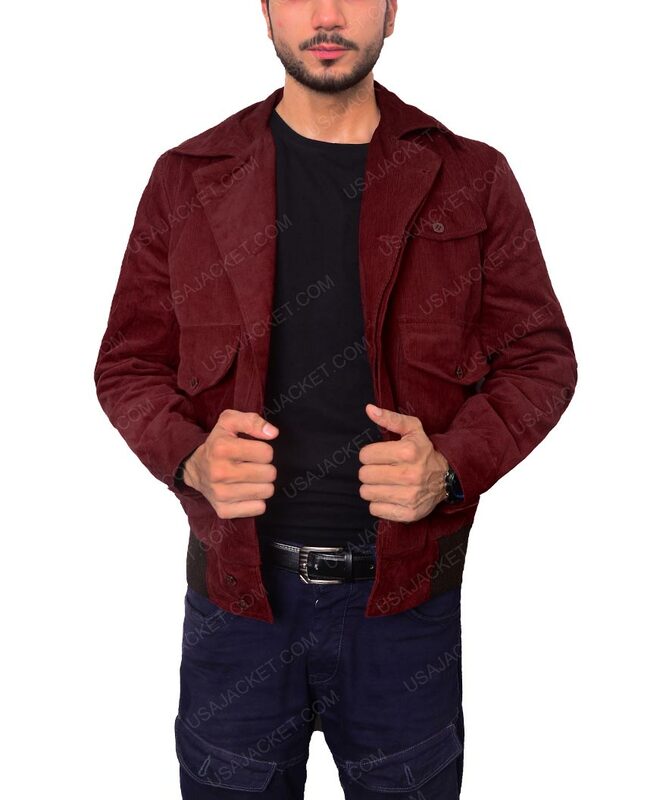 Jack Torrance Red Corduroy Jacket seems impressive that’s why I immediately ordered it. I usually wear a small size, but this time I ordered a medium. It fits me well and looks incredible. I am not happy with the late delivery of the product because I was craving to wear this attire at our event that is held a day before yesterday. Well, it is a good piece and will be buying again to get an attractive look. I’ve been searching for a Jack Torrance replica jacket for awhile, and I’ve used an oversized dark red corduroy shirt from a thrift store in years past, but not after finding this jacket. 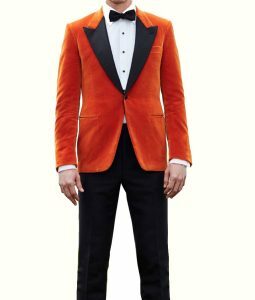 As for the style, it’s right on point and there’s not much you could improve on to get closer to the on-screen jacket. However, stitch quality is a bit sub-par and the color is WAY too bright a shade of red. I bought two 8oz cans of Tulip Color Shot fabric spray in “Wine” and after going over just the exterior corduroy (had to put on a bunch of painter’s tape to protect the elastic band and lining) it is MUCH closer. 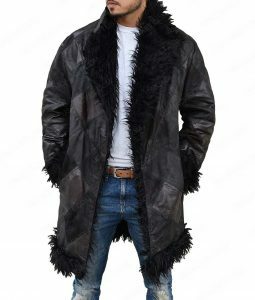 This jacket is MOST of what you’re looking for if you’re trying to pull off a Jack Torrance outfit. As for a general review of the site; I was skeptical considering the poorly-translated English in many places but I took a risk and it was worth it. 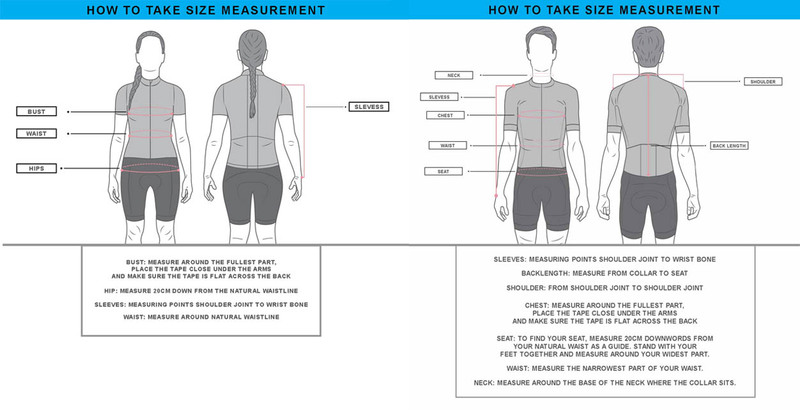 The product has been described and displayed quite in detail. 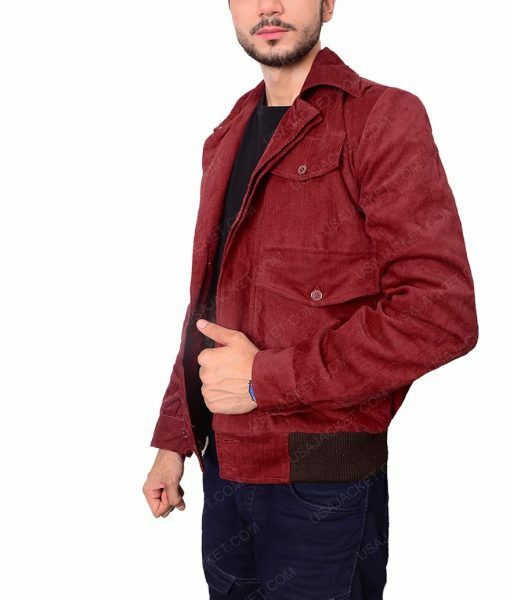 It helped me to decide faster whether I should buy that jacket or not. With great response from the family members, I feel very proud to order this. The jacket is a bit tight around the triceps, but I’m definitely happy with it. This website is worth buying from but their delivery needs to be more fast. I was its loyal customer having ordered 2 t-shirts and 4 leather and cotton jackets from here already. They all were delivered in a timely manner and had a good overall result. 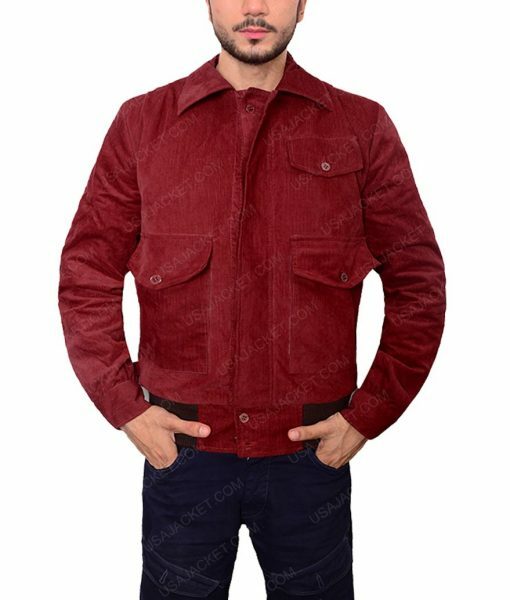 On my 7th order, which was this Red Corduroy Jacket, I faced the longest wait of my life. Nearly a month later and it arrives. I was looking forward to give a 5 star review but I was left heart broken. Answered by the admin	Yes. You can forward your order id to the customer service department and they will update you with the current status of your order. You will also get your tracking code once your order is shipped. Answered by the admin	The jacket is made of Cotton Corduroy.